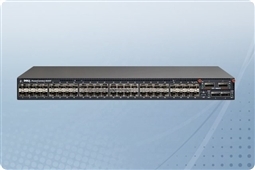 Dell 48 Port Switches are a cost efficient higher performance connectivity solution for Small to Medium Sized Businesses (SMBs) seeking a scalable switching solution with a diverse set of features! 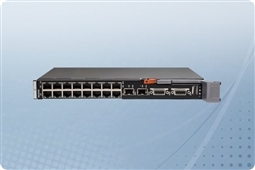 These powerful switches are resilient and ideal for high density and performance yet have a low total cost of ownership making them a huge value for the IT Professionals that depend on them. Aventis Systems has both the Dell PowerConnect and Dell Networking product families with features such as lower energy footprint design for power savings and faster ROI, clean power delivery for network devices with PoE (Power Over Ethernet), simple centralized management, rich feature sets for the total cost, and easier deployment as well as reporting. 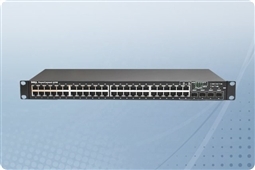 In addition, many models come with features like stacking, Layer 3 routing support, and PoE to make these switches an ideal fit for any network whether at the datacenter or in your office! 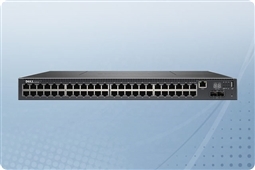 Aventis Systems is proud to offer our Dell 48 Port Switches all with a 1 Year Standard Comprehensive Warranty with upgrades available to Express Next Business Day Parts Replacement or Extended Term Warranties as well as Onsite Hardware Support. So check out our Dell 48 Port Switches below and get the perfect features and scalable design that will be the best value for your business today!